We at ASSET are very proud to wlecome our newest beneficiary. 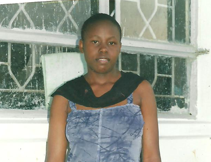 Rose is a student at Mulago School of Nursing and Midwifery – Kampala, Uganda. She has a high school certificate and is now pursuing a diploma in nursing. She hopes to go on to acquire a bachelor’s degree in nursing and ultimately a master’s degree in public Health. She is interested in nursing because she wants to help women and children in her community have better access to health services. Rose is one of five children. Her father is a low income earner at a Ugandan sugar factory and her mother is a subsistence small scale farmer. She would be the first in her family to earn a university level degree. This would enable her to help support her family as well as pursue her dreams. We’ve finally got the ASSET Uganda facebook fan page up and running. On the panel to the right, you’ll see a facebook “Like” button. Please do us the honor of “liking” our facebook page if you have an account. The facebook page will allow us to showcase additional photos and updates. We hope you all will interact with us on facebook, as well as on this blog! At ASSET we are committed to the advancement of women. Even though we do not turn away male students who apply to our scholarship program, we strongly encourage female applicants. This particularly stems from the fact that all our beneficiaries are based in Uganda; a country where women, similar to several other places, still face tremendous barriers to economic success and freedom. Contributing to the reduction of those barriers is a central tenet of our vision and our mission and as always, we thank all those who stand with us in this endeavor. So today we join the world in celebrating this 100th anniversary of the International Women’s Day. This is the first in a series of steps we are taking to make it easier for our existing and potential partners to find us online, interact with us and get involved with our work.